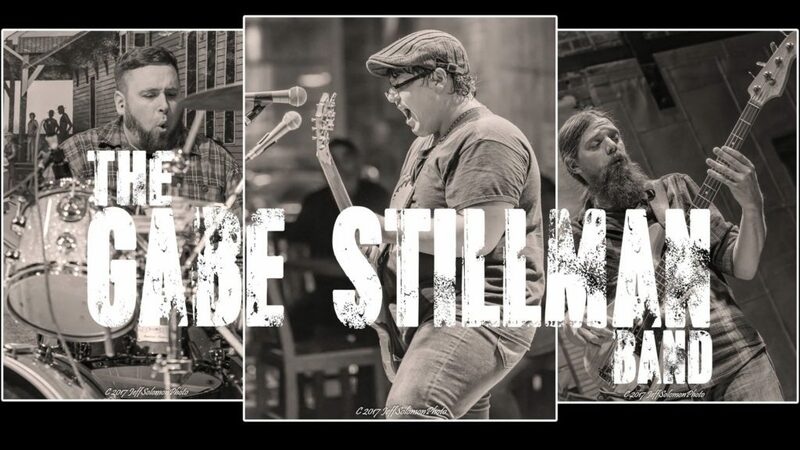 The Gabe Stillman Band are a high-­‐voltage blues outfit that electrifies audiences with performances that showcase the band’s passion, musical prowess and the joy they take in playing music together. While their sound is unmistakably rooted in the blues, the band plays both original and cover songs that draw deeply from the well of Soul, R&B,Rock’N’Roll and New Orleans music. At only 22 years of age, Gabe Stillman’s mastery of the guitar and fearlessness at the microphone is both remarkable and profound. Fierce in his playing and evocative in his singing, his skills belie his age … with an astonishing depth of knowledge, technique, and love for American roots music and in particular, all facets of ‘the blues.’ While Stillman has an enthralling style decidedly all his own, a style that ebbs and flows from pin-­‐dropping hushes to mind-­‐scorching mayhem, his influences may be somewhat evident to the astute and discerning blues fan … influences such as Howlin’ Wolf, Little Walter, Luther Allison, B.B. King, Buddy Guy, Muddy Waters, or Elmore James. Granted, many (if not most) blues guitarists cite such legends as being influential, but it is Gabe Stillman’s deep appreciation of soul music that has greatly shaped his distinctive musical persona. The music of Ray Charles, Sam Cooke, Otis Redding, Marvin Gaye, Aretha Franklin, James Brown, and Al Green found a home in Stillman’s heart, and he channels it like a boss. Early on, at age 11, Stillman enrolled in Williamsport, PA’s renowned Uptown Music Collective, where he soon became a shining star of their many ensemble performance groups … most notably as the leader of the school’s Youngblood Blues Band, which, in 2012, was invited to perform in the Youth Showcase at the International Blues Challenge in Memphis, TN, and for which Stillman earned an award for individual effort. After then graduating public school a year ahead of his high school class, Stillman enrolled at Berklee College of Music, where he also fast-­‐ tracked … earning his Bachelor’s Degree in Professional Music in just 27 months. While at Berklee, he was selected (in just his first semester) as one of only six to perform in the Guitar Department’s Jazz & Blues Showcase, which is a highly sought-­‐ after spotlight. Stillman performed in many ensemble groups while at Berklee, including traveling to perform at the King Biscuit Blues Festival in Helena, Arkansas. Graduating from Berklee just before his 20th birthday, he returned home to Pennsylvania and immediately formed Gabe Stillman & The Billtown Giants, the first incarnation of what would become The Gabe Stillman Band. In addition to leading The Gabe Stillman Band, Stillman serves on the faculty of the Uptown Music Collective and the teaching staff at K&S Music, as well as performing solo shows across the region.